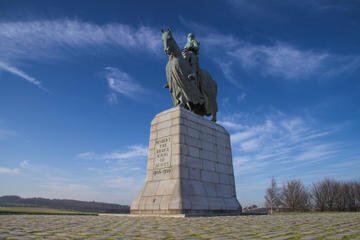 Prepare yourself for medieval warfare at the interactive Battle of Bannockburn Visitor Centre. Enter the center using your ticket and turn the clock back 700 years as you browse the exhibits, which use state-of-the-art 3D technology. Hear from characters who fought in the battle and learn about the weapons and strategies employed. Put your newfound knowledge to the test by taking part in a battle simulation game before exploring the battlefield outside. Upgrade to include a 3- or 7-day sightseeing pass, which grants you access to 90 Scottish historical attractions.